It’s been 52 days since I relapsed. It sure feels like a lot longer. Not really sure why. I thought, when I checked the dates that it would surely be past 60 days by now. For some reason, addicts use 60 days as a target goal. So, I guess that’s the direction I am heading in. Admittedly, it’s been hard. Talking so much about Tony has been a huge trigger for me. I have a hard time talking about him without wanting to use. I told my counselor this. 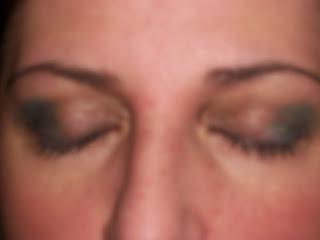 When we did the EMDR (see last post) it had me completely frazzled. I was able to hear him, feel him…like I could feel his breath on my skin all over again. Is it insane to think that there is a part of me that misses him? I guess that sounds nuts to many people. But, there were good things about him, when I wasn’t so scared of him. He made me feel protected for a long time. Ironic, because the one person I didn’t feel safe from was him. It’s crazy the way the mind works. I don’t discuss this with anyone, except here, in the safety of my blog. I know people would think I was nuts if I revealed this. I don’t mind you guys thinking I’m nuts. I have 5 years worth of documentation on this site to prove that I am. I can’t help but think of him though, especially lately. I have to admit…I do wonder where he is and how he is. Not necessarily in a good way, the way we wonder about old friends we haven’t seen in a long time. More in a curiousity sort of way. Is he still beating other women? Is he in prison? Has he learned his lesson finally? Did some woman finally reign him in? Has she learned how to control his temper? And mostly, what did I do wrong that I wasn’t the one to be able to “fix” him? I am a bit of a drama queen. This is nothing that people don’t know about me. I thrive on the adrenaline of the moment. With Tony, there was nothing but drama…and after awhile, it defined me. I couldn’t live without it, but I couldn’t live with it either. People tell me to get over it. After all, it was 1991 when that baseball bat made contact with my head. It should be over now. I am in a better place. Much better. I am with a man who loves me, adores me, in fact. My children are safe. They are protected and secure. They have a father who loves them and a stepfather who worships them as though they were his own. I am a fortunate woman, no doubt. But, there’s always those times. Those times I can smell that cologne…and it takes me away. Takes me back. And I dream. No nightmares. Just dreaming. 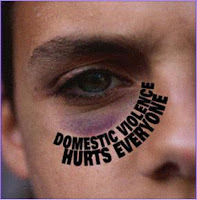 This entry was posted in deep thoughts, domestic violence, PTSD, sobriety, Tony on October 17, 2009 by Cher Tushiah.